Friday, we had our graduation rehearsal at our uni gym which lasted for about four hours straight. So we just had lunch at the nearest McDonalds cause we'll be heading back to school and wait for our graduation gown and cap to be released. 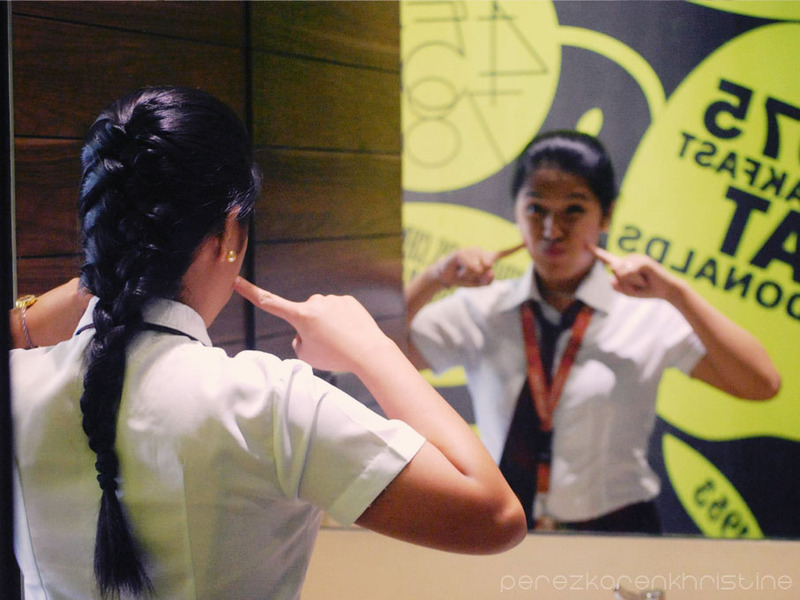 Didn't you just love my super duper mega ultra braided hair here? All honestly, I made it myself! ;) Without even looking at them in the mirror by means. I'm no pro, but I did great. LOLOL. And that's the reason why it swags like this, matted and messy. Then after a three-hour lunch (too many random weirdness happened that took us too much time), we went back for our unfinished business. Oh yeah! 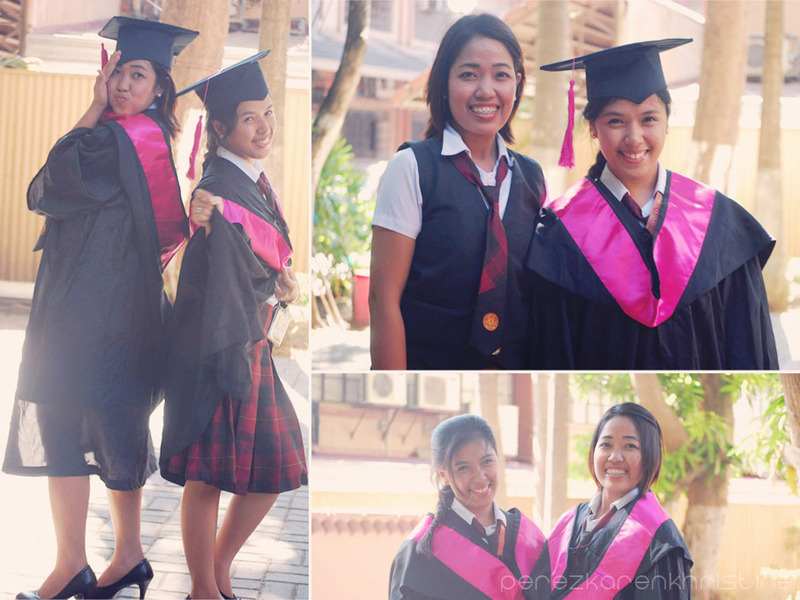 Had our graduation photos and gown in no time! We tried our gowns out with no one around. Okay, the following photos were very vain, and actually had my second thought of not posting them. Really. 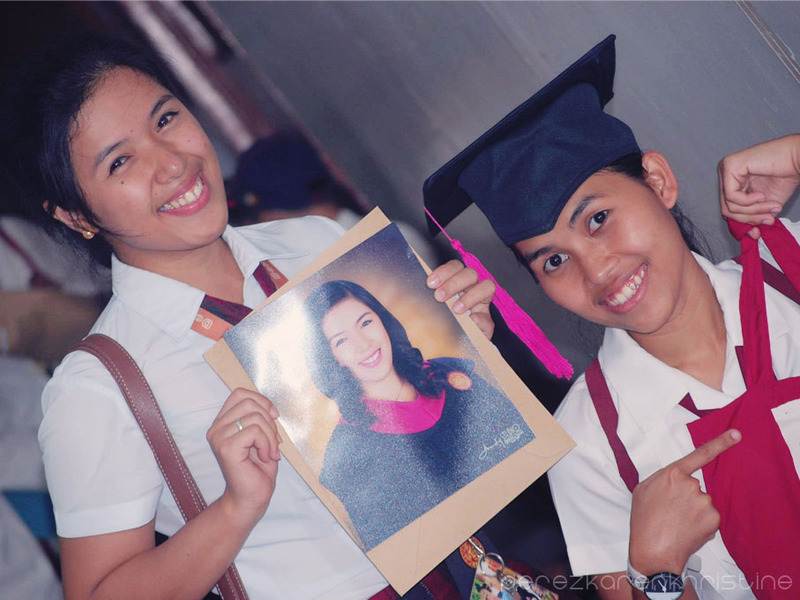 Ate Tin and Me, with our uniform and gown. 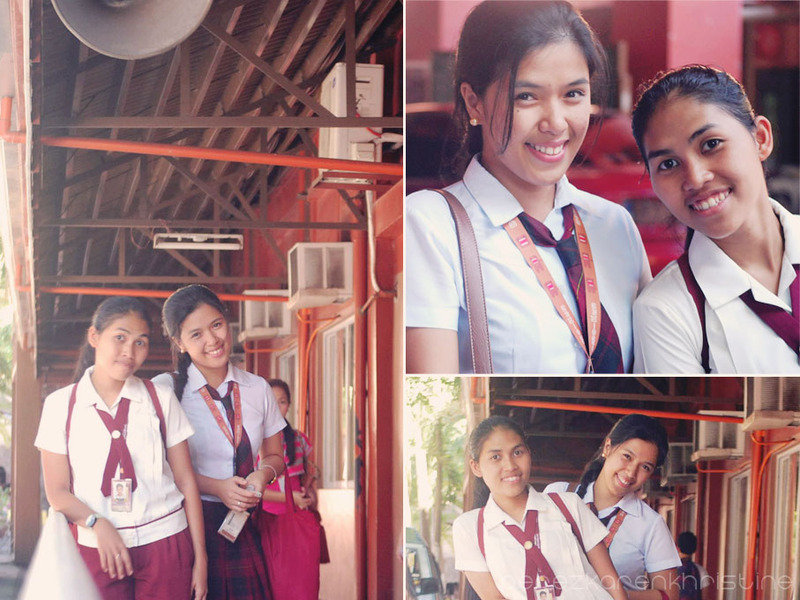 I still have my flush-y braided hair. Tenenenen! This will be my last time wearing my precious magic uniform. I don't wear vest and that's the most comfortable way to tog this clothes. 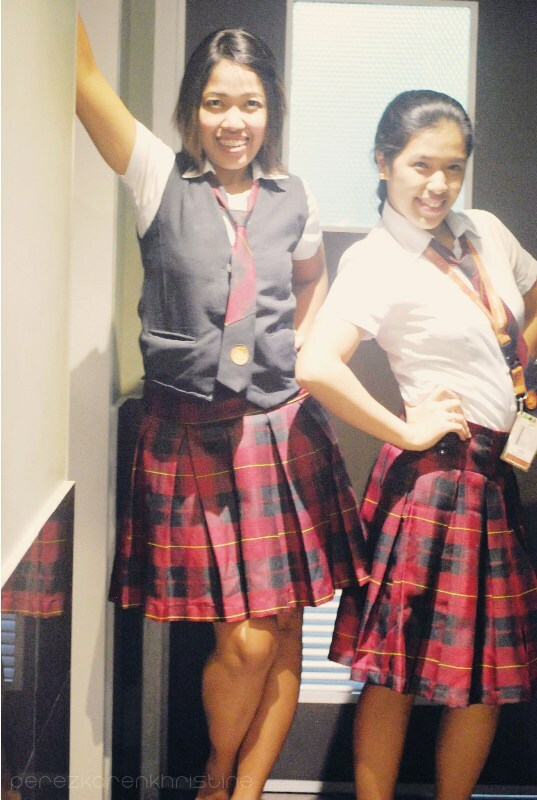 Watch Missing You in ABS-CBN to see where our university got our uniform idea. What a shame! 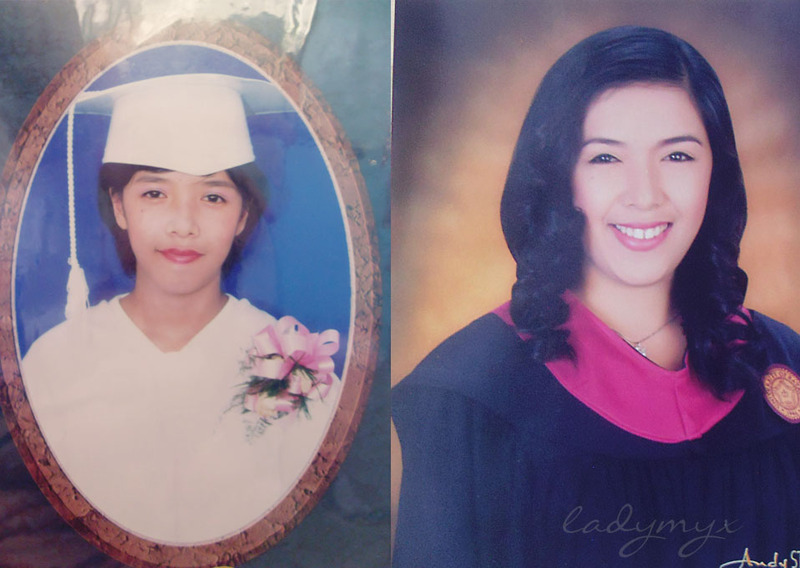 u looks matured on the right side of last picture. and yet looks so young in ur school uniform. :D congratulation, when is ur graduation? Such cute photos! Graduation is pretty fun and exciting. Best wishes for your future encounters! Aww, congrats! 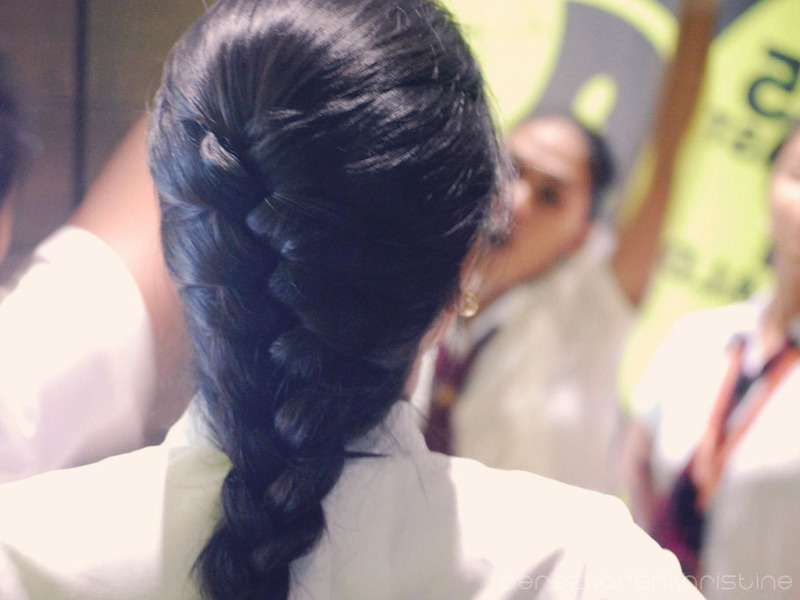 You are so pretty and you did an amazing job on your braid. Your hair is sooo shiny! P.S. Count us as your new followers on GFC, Bloglovin and Facebook. 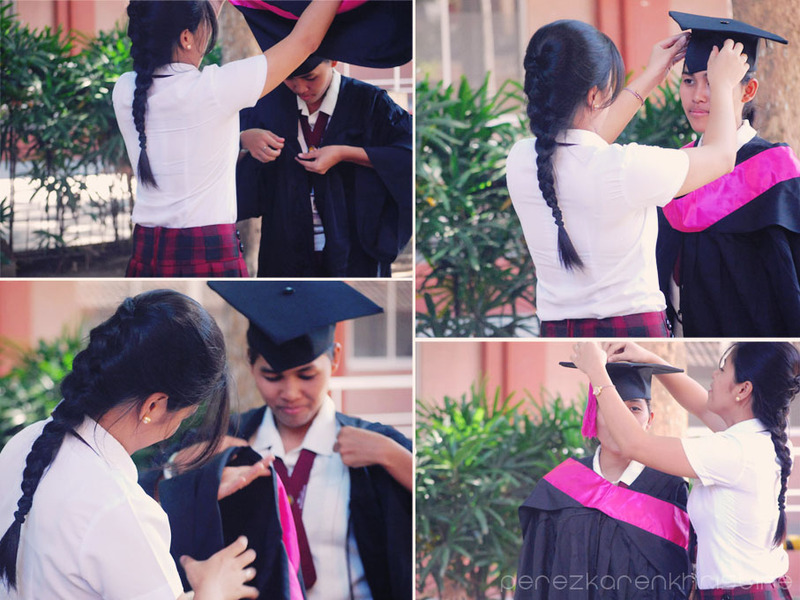 nice post .. and captured pictures .. and congrats for graduating from school ..
Nice; congratulations on your graduation. Congrats! Be a hope of this nation.